Why do we love Steve Way so much? Why don’t we love Scott Overall or Chris Thompson as much? Sure we love Mo Farah but with Steve it’s different. Perhaps it’s because we watch him run the London Marathon and represent the England at the Commonwealth Games and run in the World 100km Championships and then the next week he’s down the local park running parkrun or like today, he’s racing the low-key Heartbreaker Marathon in the New Forest with the rest of us. Why do we love Steve Way? We love him because we love his story. You know, the one about the the fat bloke who smoked and then one day started running and realised he was quite good at it. 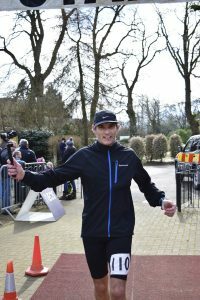 We love that he writes a really quite entertaining and humorous blog which details his training and that he says things like ‘if you take out the elite athletes, it looks like I won the London Marathon’. We love that he will take the time to respond to people who message him on Facebook or Strava or Twitter or on his website. Perhaps it’s partly because he lives relatively nearby and tends to run a lot of the same races as the rest of us in Sussex, Hampshire and Dorset. I’ve certainly never run any races with Scott Overall, Mo Farah or Chris Thompson (discounting the big events like the London Marathon, Great North Run etc). Is Steve Way as famous in the rest of the country as he is down here on the south coast? I don’t know, but for me he is an elite athlete who feels like one of the regular guys, just out to enjoy the run, like the rest of us. And so it was that we arrived at Sandy Balls holiday complex in Hampshire, after a very early start, from Worthing ready to run the Heartbreaker Marathon for the first time. Richard and his family had been at the complex for a couple of days and we met up on our arrival. Our friends Paul and Shelley were both running too with their respective other halves. Paul films a lot of his runs these days and you can see his video here. The start was at the foot of a steep incline towards the rear of Sandy Balls. We joked that we’d be running up it in a minute but sure enough shortly after that we were indeed running back up the hill, through the holiday complex and out the front entrance. There were a couple of miles of tarmac road running before we turned off on to the trail. Richard was going for another fast one but as I was filming I was having a lazy day looking to get round in around 3:30-40 ish. Once on the trail we ran about 4km on an undulating track to the one and only aid station. Then came 30km of laps. To the east side of the aid station was forest with a bridge across a stream, dappled sunlight dancing through the trees and a short sharp hill to negotiate for 5km. The other side was another 5km but this time it was open heathland with views across the rolling countryside and a slightly less steep but longer hill to climb in to the wind. At the westerly turn point of each loop we were given a rubber band to provide some indication that we had indeed completed the loop. Once we collected three bands it was time to head back. Underfoot it was very easy running. The path was a well maintained wide forest track. No mud, very few tree roots or uneven ground from what I recall. I kept up a steady if not record-breaking pace and began to flag just a little at 30km. I was fine though. It was fascinating to watch the battle at the front unfold between Steve Way and the same chap who beat him in the Purbeck Marathon in 2014, Matt Bennett. I confess to not remembering his name during the race and kept shouting out, “Well done, mate” to him and then “Keep going Steve” to Steve Way. I like to think I gave Steve a bit of a push half way through. As they approached I could see Matt had taken a few metres lead and as Steve passed I said “Don’t let him go Steve” and on the following pass I noted that they were together again. However, by the final loop Matt Bennett had got away. Filming was going well. I was enjoying flying the camera over people’s heads as they ran towards me or putting the camera on the floor and letting people run over it. One guy kicked it and I wasn’t sure if it was deliberate or not! No harm done though. I didn’t rush through the aid station and enjoyed the fact that they had Tailwind as the energy drink of choice. I still haven’t quite decided if it’s ‘All you need, all day’, but I am very happy to keep using it for the time being. It was tough fighting my way up the two hills on the final loop but I made it to the aid station for the last time in about 3 hours and 10 minutes and started on the trail back to Sandy Balls. Unfortunately when I got three kilometres from home the battery died on my camera. Luckily I always carry and spare and so I had to walk up the final hill to the road changing the battery as I went. This lost me a good 5 minutes and I was in danger of missing my goal 3:40 finish time. So I fair sprinted the last 2km down the road to the finish line. Annoyingly though, when I looked at the camera it said FULL on the screen. This means that not only had the battery died but the SD card was full and couldn’t record any more. I do always carry a spare SD card too, but in my haste to get to the finish line I wasn’t concentrating on filming so much as running and didn’t notice the FULL message until after I’d crossed the line. I did consider doing a pretend crossing of the line but then the final blow was that my spare SD card wouldn’t work. Some formatting problem that the GoPro couldn’t fix. So I ended up filming a little bit at the end on my phone. Richard had done really well and crossed the line in what he thought might be a new marathon PB. As it was he missed it by a few seconds, but 15th place in 3:18 for a hilly marathon is darn fine running. He just needs to pull one of those out on a flat road marathon and he’ll get close to 3 hours I would have thought. Tanya ran the Heartbreaker Marathon Half distance, her second half, and finished in around 2 hours 15 minutes. Both Richard’s wife Tanya and my wife, Victoria are becoming proper runners! Their times are getting better and better. I finished in 35th place in 3:37 and our friends Paul and Shelley both came in around the 4 hour mark with Shelley and her other half, Mark, clocking 4:07 and Paul, 3:59. 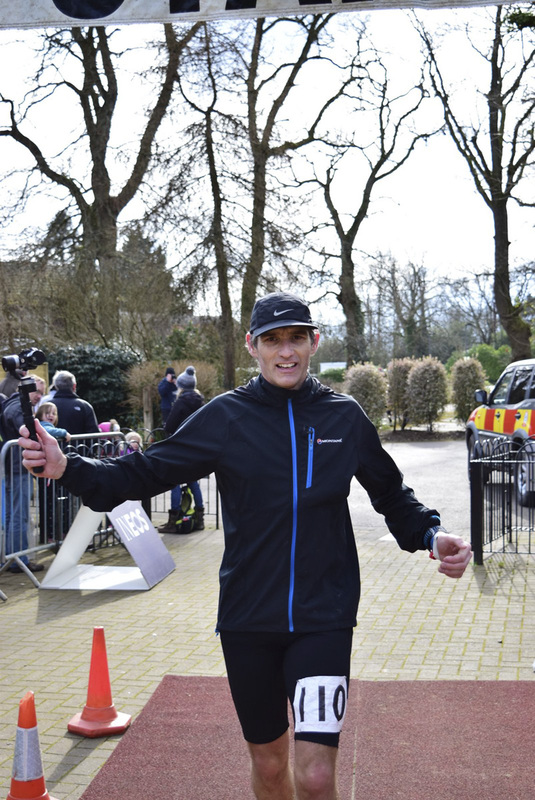 In contrast though, Matt Bennett, the winner, recorded a time of 2:35 and Steve Way, in second, 2:36. It’s only when you see times like these you realise, we’re just fun runners really. I’m not knocking our achievements as runners and athletes. Completing a marathon in pretty much any time is fantastic. But we’re just playing really when you compare us to proper, elite athletes. And, Matt and Steve would be the first to admit they are by no means the best in their field. They are just amongst the best in the UK. It’s frightening what the human body can be trained to achieve. It’s amazing what the human body can endure. And it’s great that we get to run with the likes of Steve and Matt and see them in action up close. 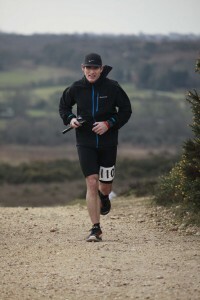 If you are really into your running you might be aware that the Marathon Talk run camp was held at Sandy Balls over the weekend too, with talks by Liz Yelling and Steve Way amongst others and lots of running. 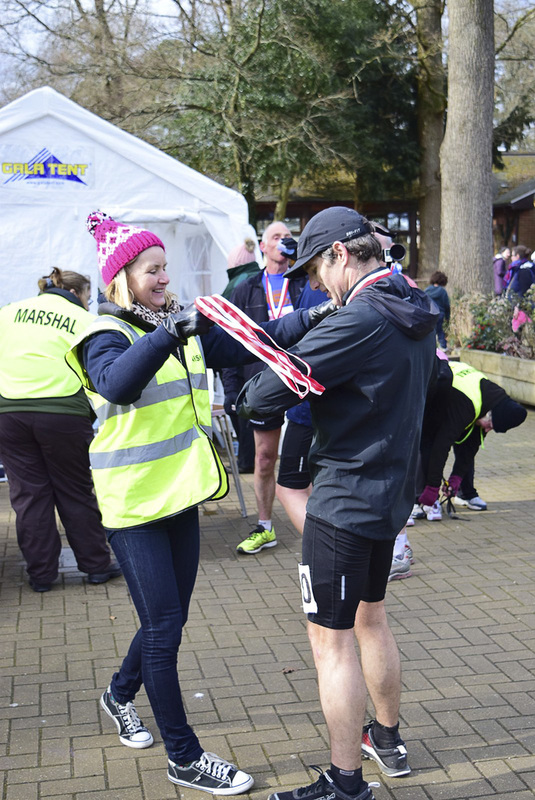 Many of those attending took part in the Moors Valley parkrun on the Saturday and then the half marathon on the Sunday. We finished our day in the New Forest with swimming and sauna at Sandy Balls before heading home. The Heartbreaker Marathon was not a heartbreaker marathon by any means. Running through the forest and heathland are far more likely to warm the heart than break it and we may well be back next year for more of the same thank you. If you have enjoyed this Heartbreaker Marathon race report and video, please do give it a like and share it with your friends, especially those who like running and might consider this as a marathon for next year’s diary. I would say it could be a good starter for someone looking to do their first trail marathon.